There is no second chance to make a good first impression! This is all about the staircase in our home. It is an important part of the overall home decor, however, it is often unheeded. 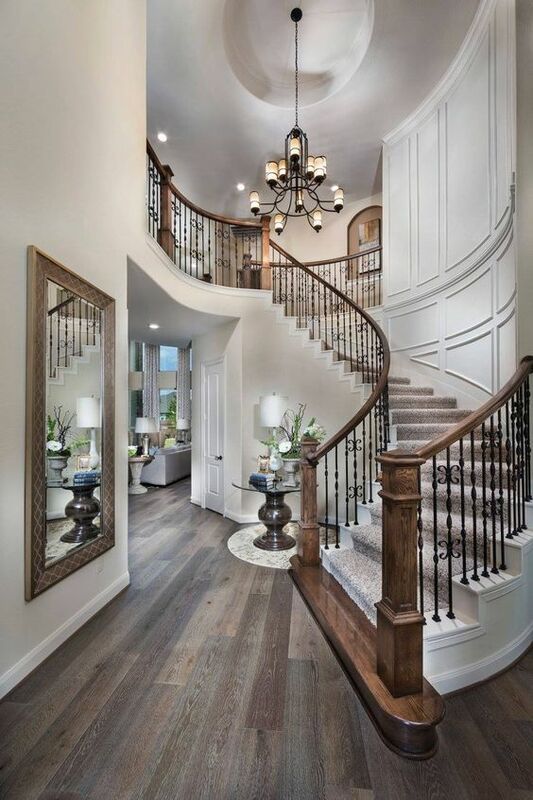 To start, here is a stylish traditional staircase that makes space feel welcoming, calming, comfortable, and why not polished? Remember, the entrance is exactly that point where you shape your identity, establish your style, and tell your story. 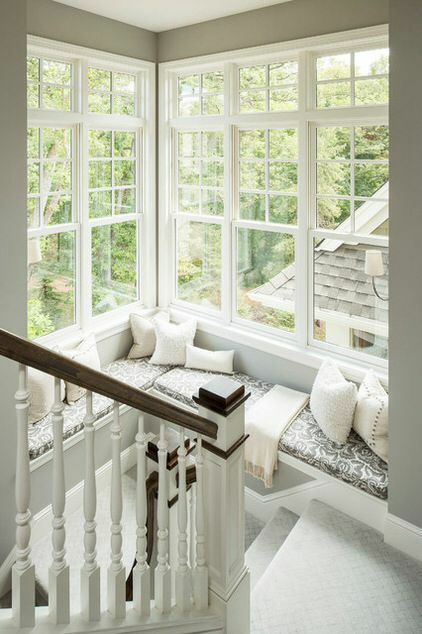 If you have some large windows around the stairs at home, why don’t you create a cozy reading spot to take a sunbath and rest after a hard day at the office? Set your imagination free and build something nice according to the space you have. A thrilling challenge for all the crazy DIYers! I love the unpretentious design of these stairs, the colors, the tiny library with its trinkets to the left of the picture. This is the perfect place to exhibit travel or other souvenirs. 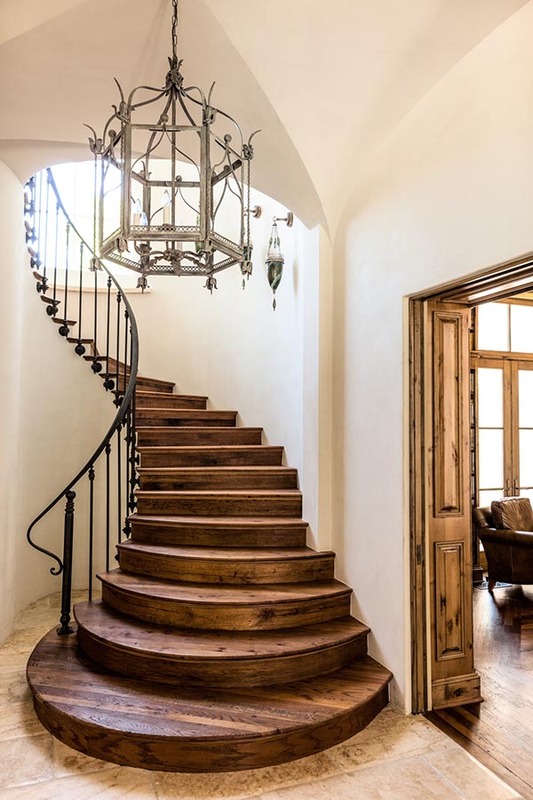 This majestic wooden stairway with iron railing has been designed by SHM Architects based in Dallas, Texas. Even there are no additional elements, it looks very warm, welcoming, and contemporary thanks to the wood. 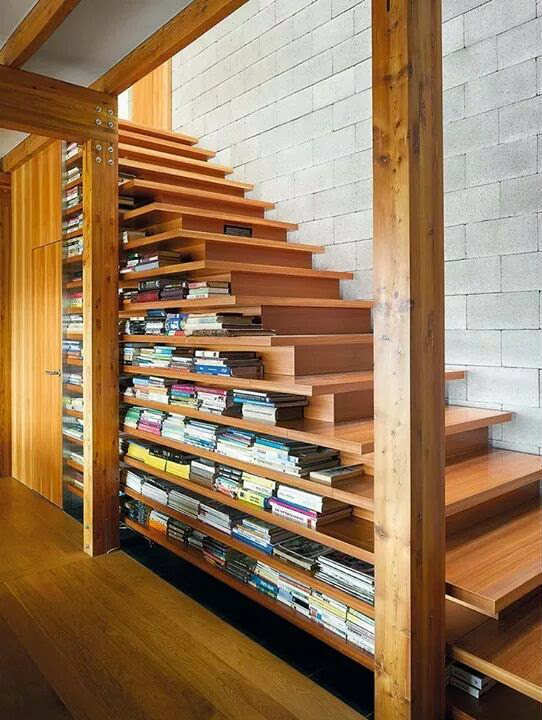 This is 100% one of my top 3 staircase design ideas. 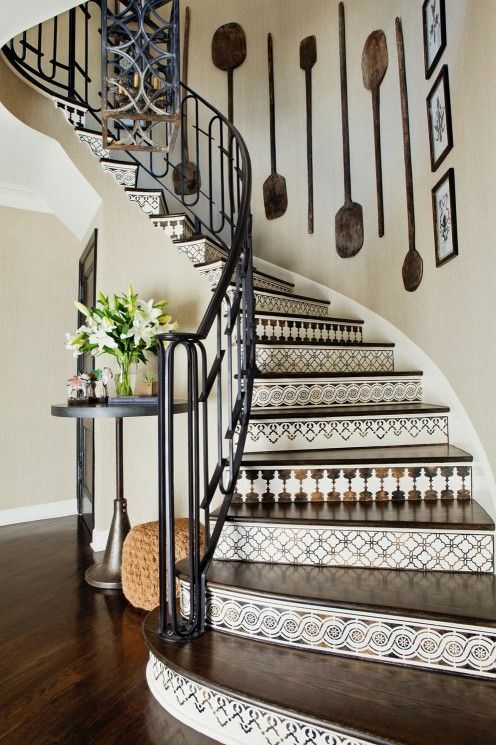 Even though it has a neutral palette, this stairway does so in bold fashion. It brings a strong vintage vibe and reminds me a bit of a royal castle’s foyer. 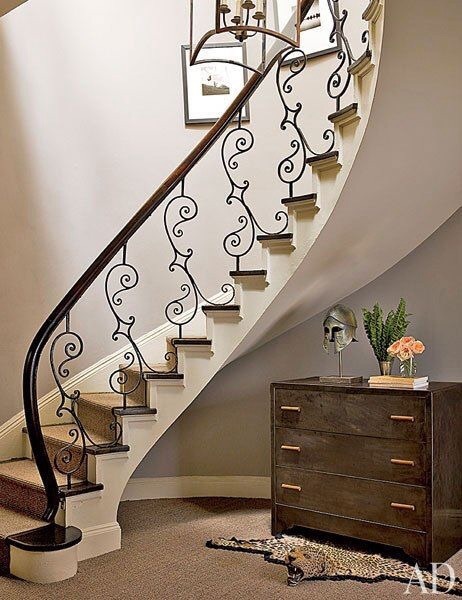 Here is a thought – why don’t you combine wooden oak stairs with a double twist iron railing? These two materials pair well and give the overall design an expensive stylish look. 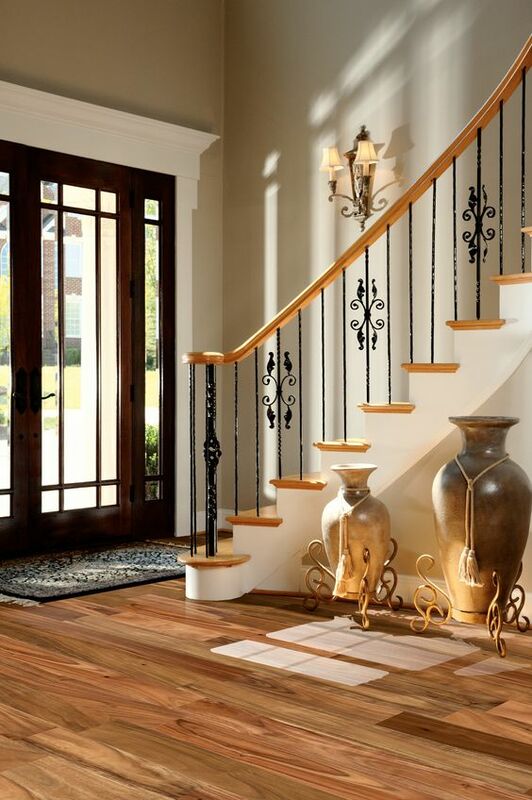 Tip: Do not use an iron if there is not enough sunlight coming inside your home – you are risking to make your staircase depressing and unwelcoming. 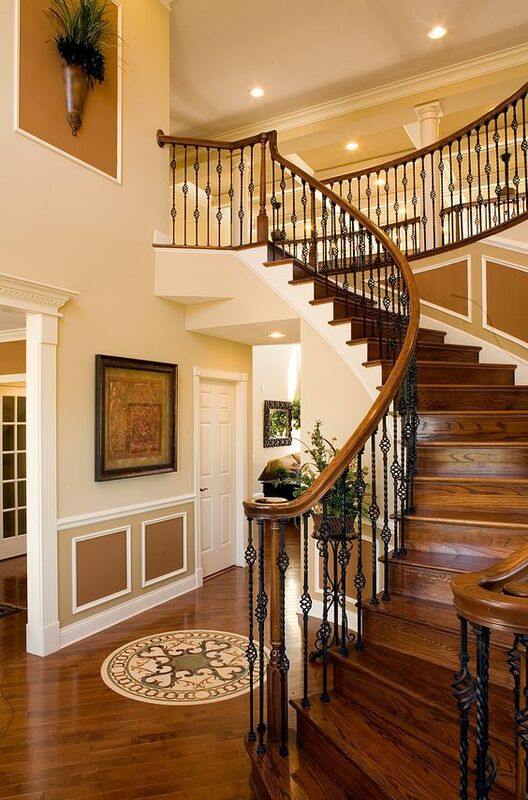 Your stairway would help you make a solid statement about your own style and taste. over $7 millions. I’ve decided to share this picture with you as I think it won’t be difficult to re-create the same idea without necessarily breaking the bank. 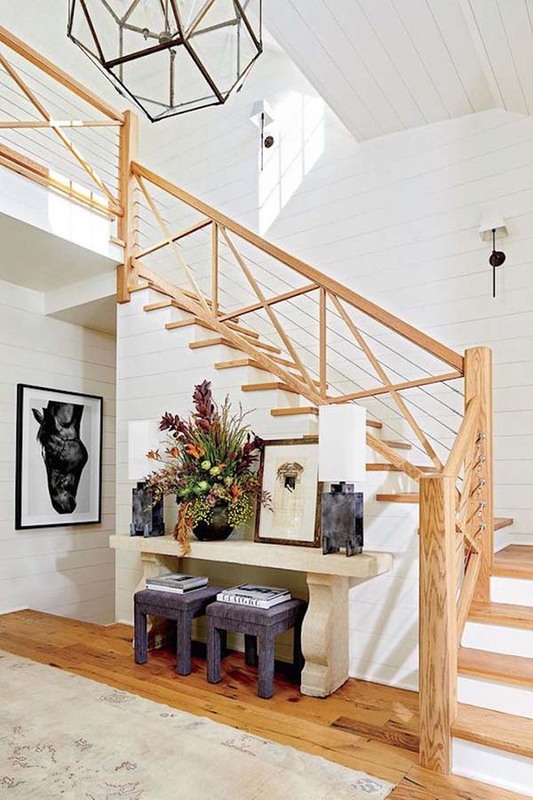 This stairs design in the picture proves that you can easily refresh and personalize your old-school interior simply by choosing some decorative and structural accents that reflect your style, needs, and wants. 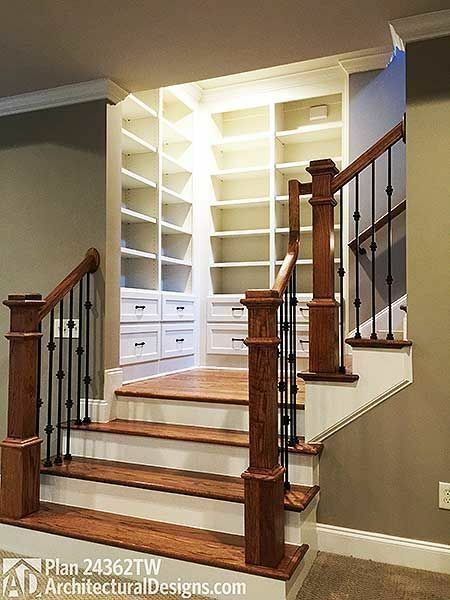 Adding bookshelves and drawers on the side of the stairway could be a real space-saver, especially for those of you living in small houses. Plus, it looks amiable and cozy. 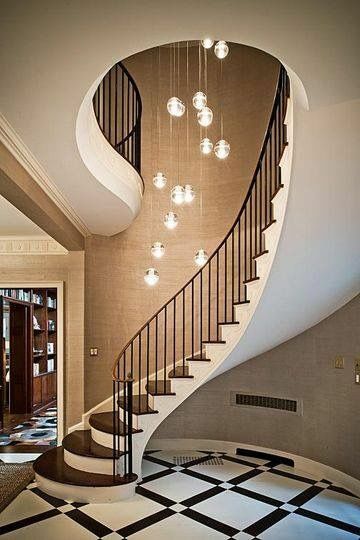 Here is one more spiral open staircase idea to add into your list. The whole design looks very expensive and posh. The dimmed light makes the stairs look dramatic. 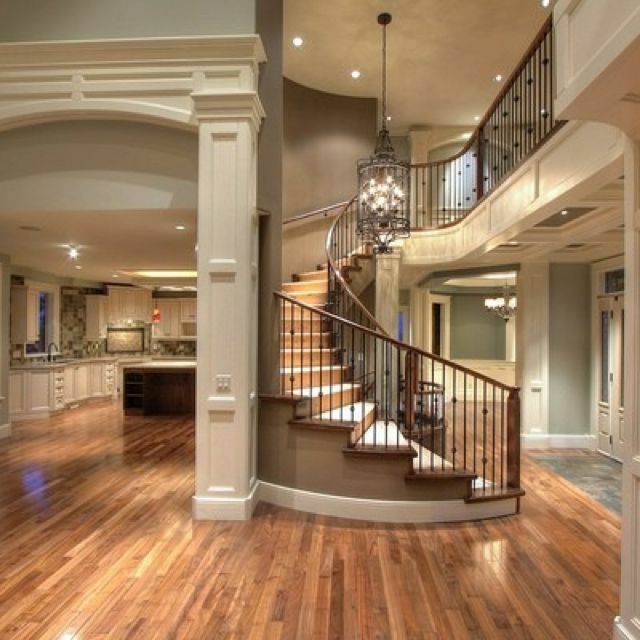 This luxurious eye-catching stairway could fit well spacious homes with some heavy decor. Another proof that symmetry means beauty and perfection, don’t you think? 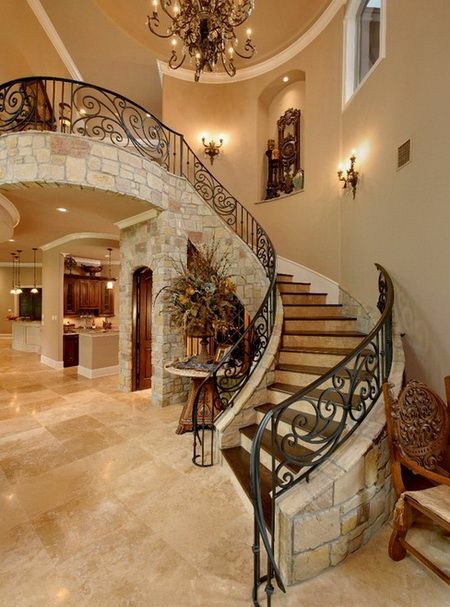 I fell in love with this massive Mediterranean C-shaped mixed material railing stairway design. Also, take a detailed look at the wall art. How gorgeous! 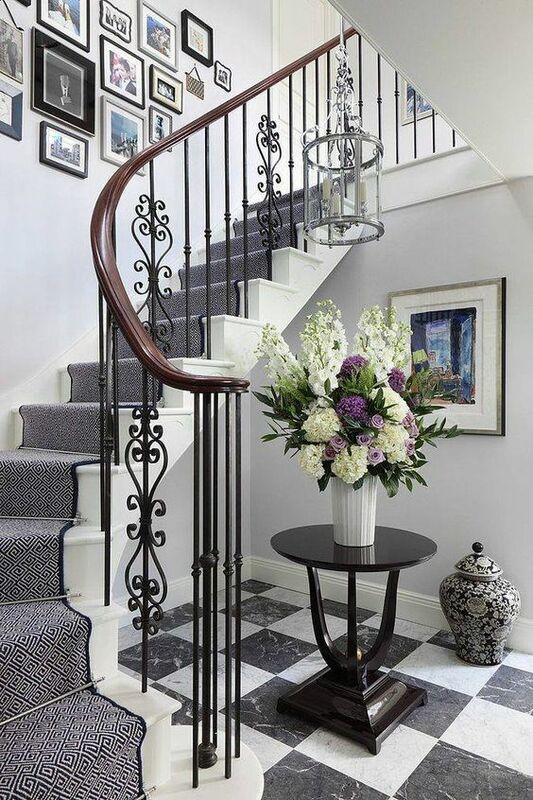 An inspiration for a large timeless spiral staircase design in black and white with beautifully ornate metal stair rails. Now it’s time to kick your own idea off! 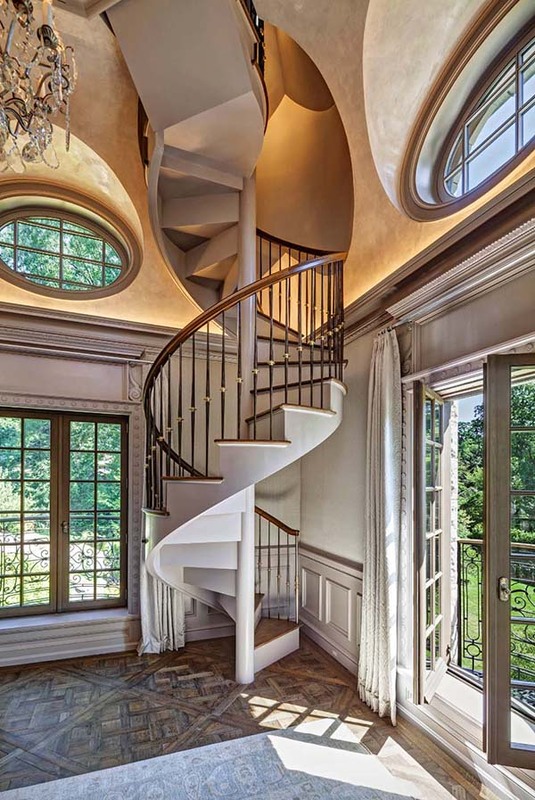 This picture of a spiral staircase design shouts “expensive” at me. The lampshade, the small table, and the pieces of art on top of it bring a cosmic vibe to the overall design in the entrance. This simple floating stairway lines up each step with each shelf creating a nice structured and graphic visual. The bright wall makes a strong contrast with the colored book spines. The interior designer Arik Levy has created this beautiful wood-glass staircase as part of his project Wireflow free-form pendant light. More stunning pieces of design from him you can find here. 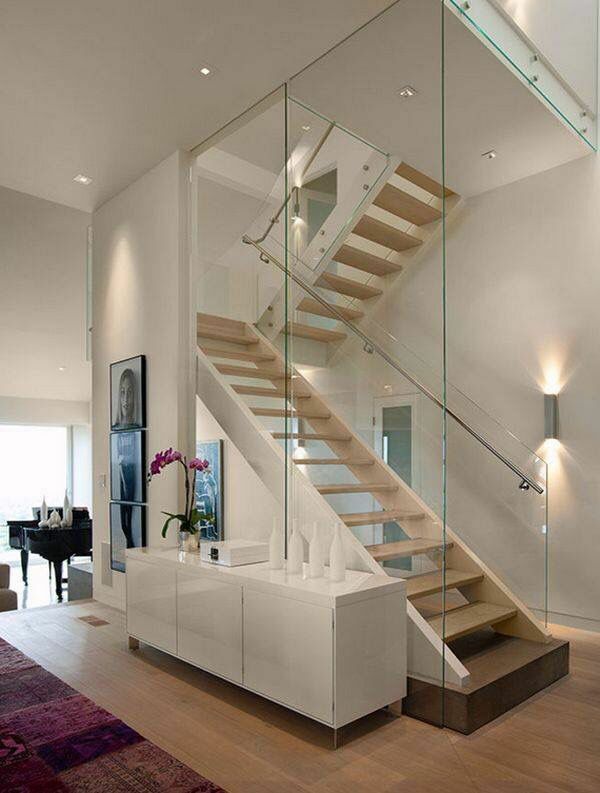 This polished contemporary stairs are one of the best clear interior stair railings available. The colorful wall art adds a cute accent to the overall design. If you are looking for a rustic design in your home, this beautifully made wooden stairway with no railing would be right for you! Remember, this is not a good choice if you have little kids at home as it is not very secure with no rail. 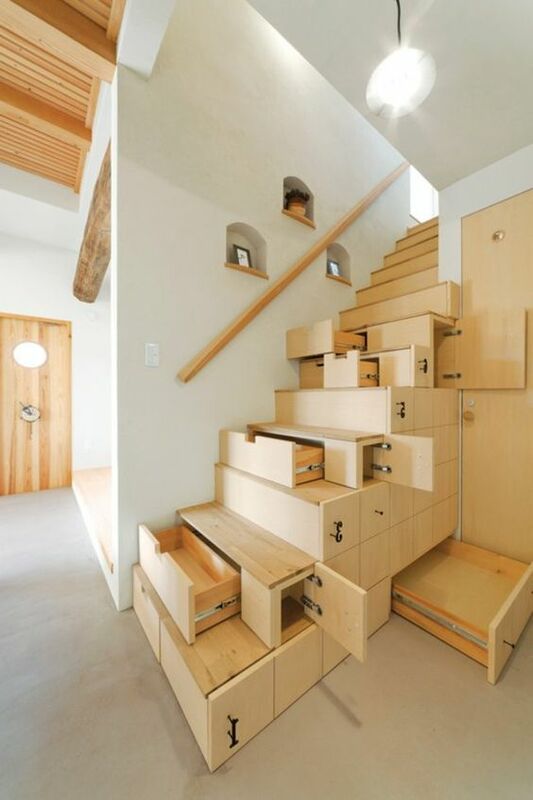 As my home has no high ceiling, I was searching for particular staircase design ideas. 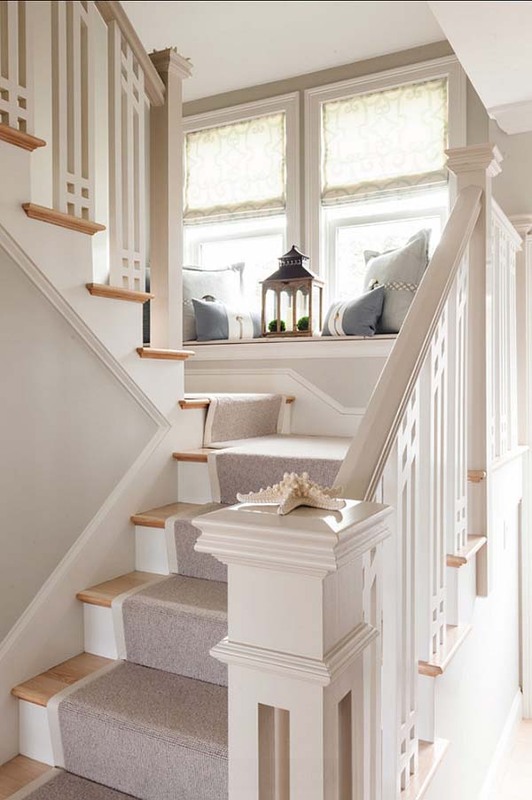 Then I found this simple stairway with lovely window-seat, custom throw cushions, and natural fiber runner. The color of the stairs is Titanium by Benjamin Moore. 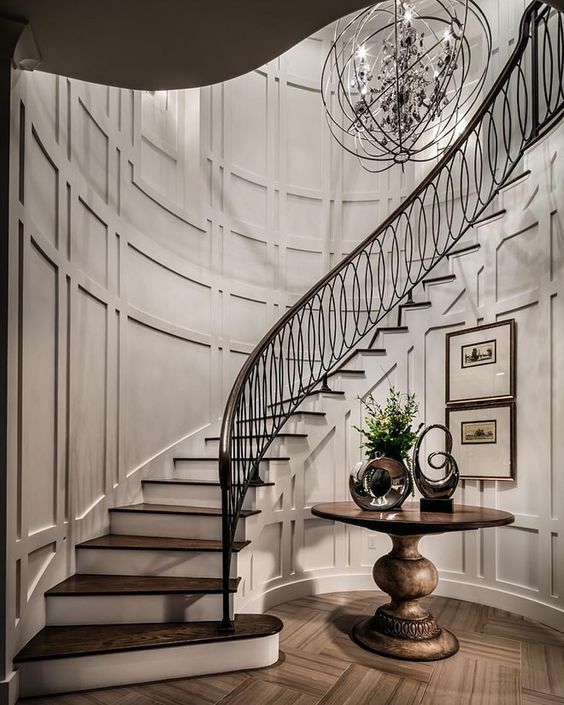 Minimalistic design, high ceiling, massive wood stairs, and walls painted in White Dove by Benjamin Moore allow the architecture in the entry to take center stage. 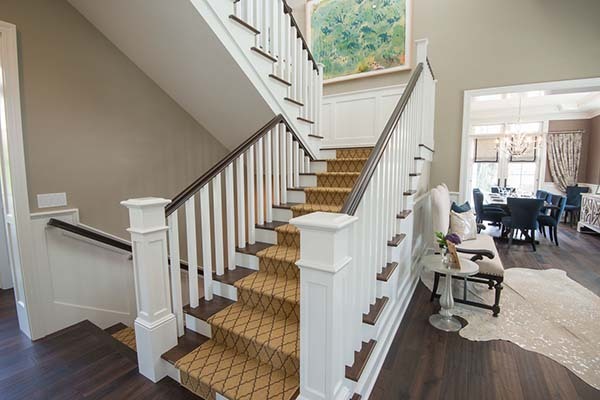 The woolen runner fabricated by Carpet Central & Hardwood Flooring and the railing made by Signature Stairs leads one up the narrow staircase to the home’s private spaces – the bedrooms. 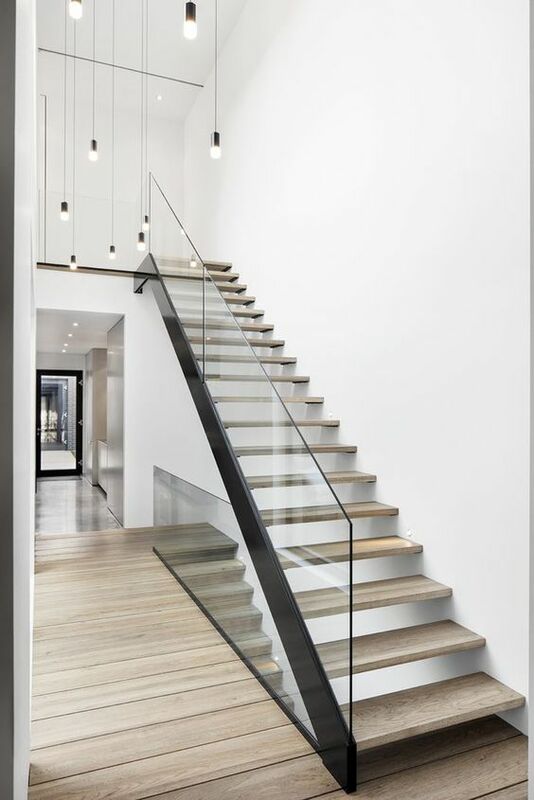 This splendid design is sure to be the center of attention at any get-together, with the simple but stylish wooden steps, the fine glass staircase handrail, and the scarce light that allows for full exposure and balance. 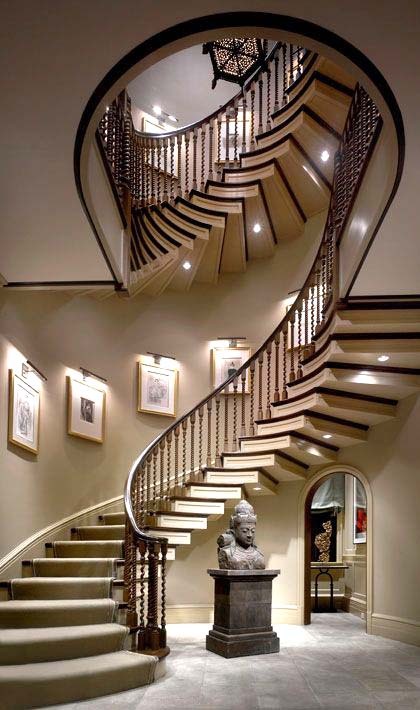 This luxurious staircase is an ideal charm and design. 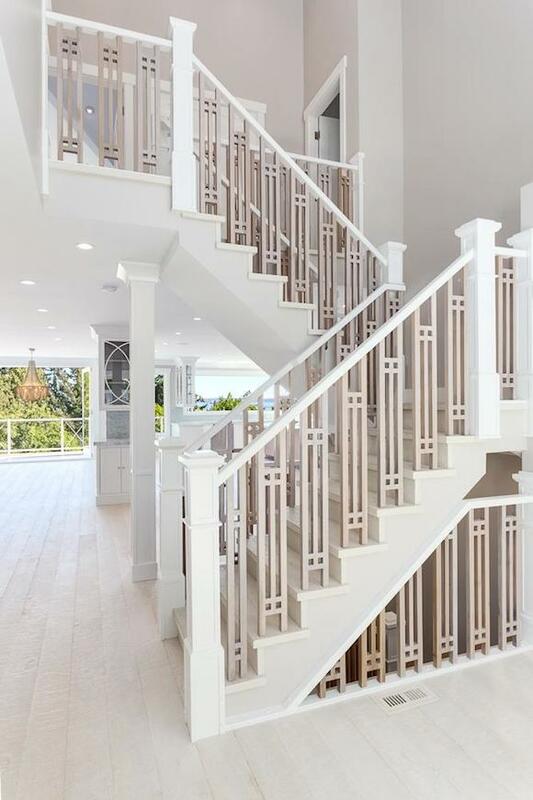 The dazzling oak wood covering throughout, beautiful crook, and rod railing that rests below a fine handrail to slide and guide make this a masterpiece for rails for stairs. Imagine seeing this piece of art everytime you enter your home. Like you are living in the Louvre. Truly sculpture. 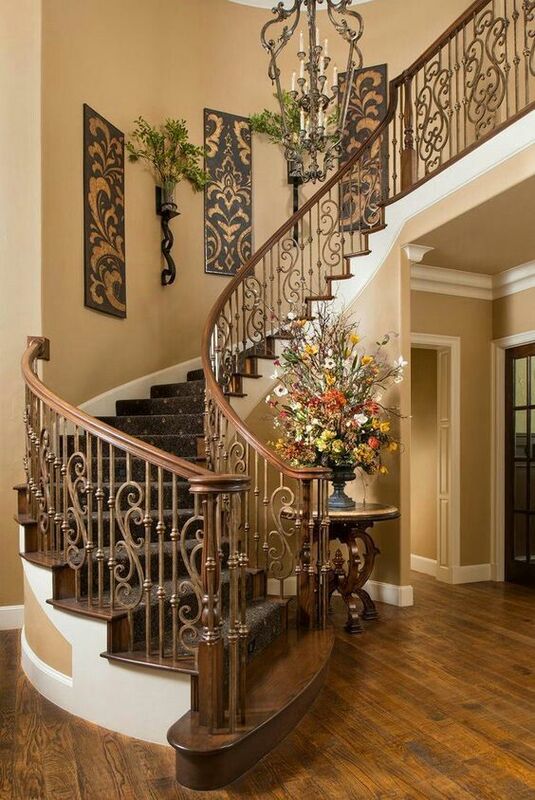 This is a truly exquisite centerpiece, the spiral stairway railing has a classy design. It provides a semi-open viewing and a conversational piece. The hanging bulbs give this space a whimsical atmosphere. 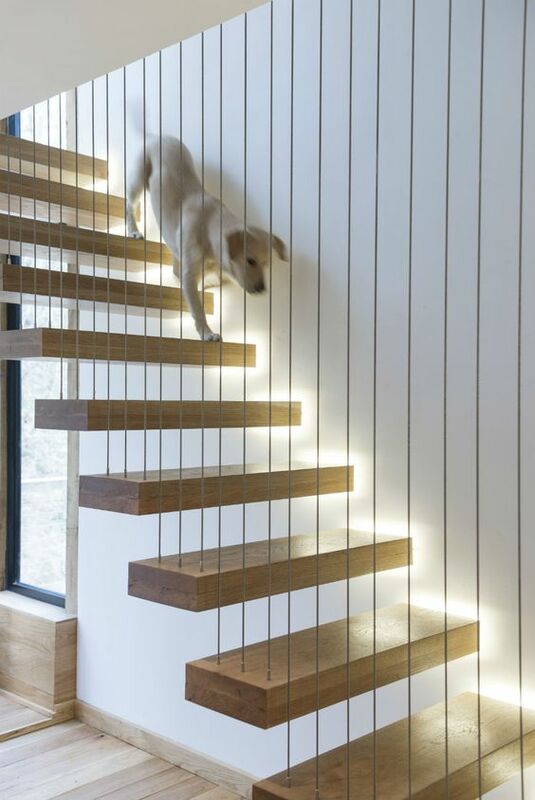 This bizarre (in a good way) stairway would transform your home into a spaceship. 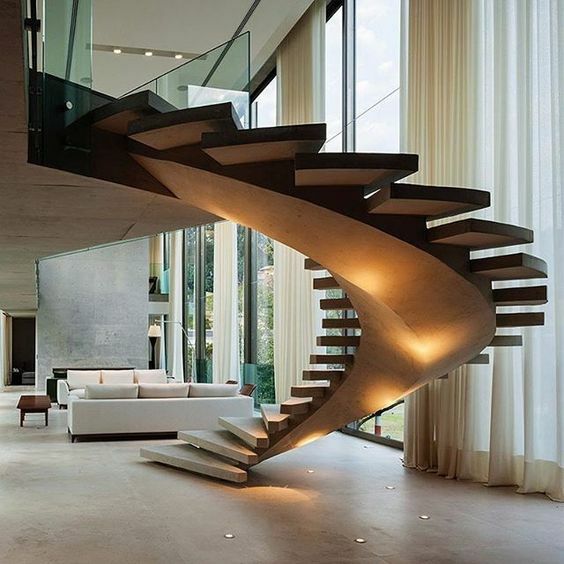 This type of staircase design ideas takes the interior design to a whole new level. Please note, it would fit spacious houses. Contrary to some opinions, the stone stairs do not need to be necessarily outdoors. 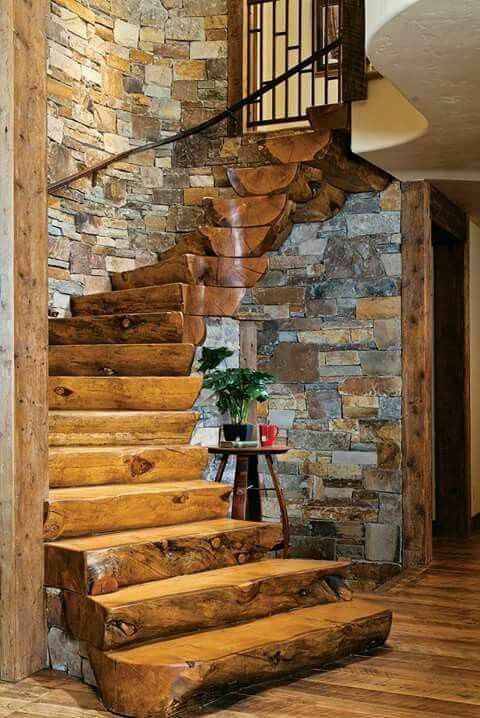 Here is one of the nicest of the stone staircase ideas I’ve found while searching on Pinterest. 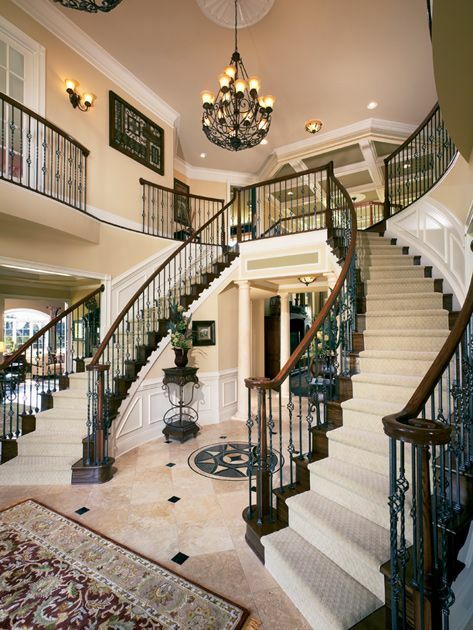 If combined with the right lighting and railing, it would add a dramatic expensive look to your entrance. Let’s make a symbolist leap backward! 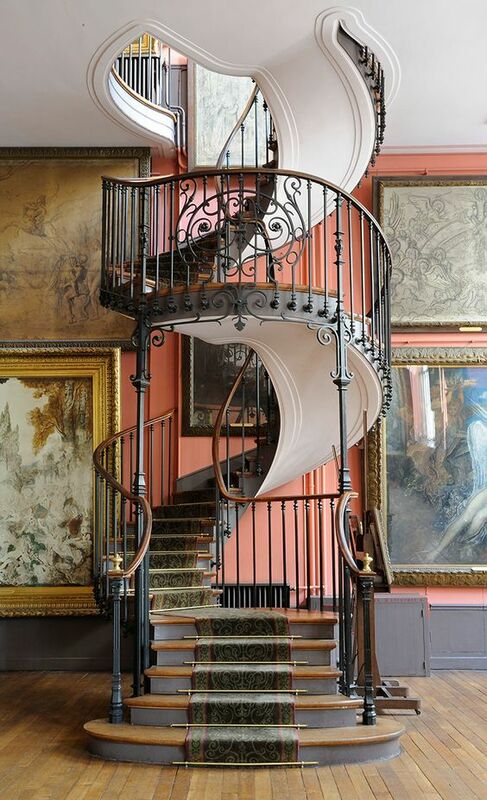 This beautiful spiral staircase takes place at the museum Gustave-Moreau, in Paris. It has been re-created exactly the same time as the painter lived in this building under the guidance of architect Bernard Bauchet and Sabine Kranz, interior designer. It brings a nice sense of symbolism art and an old century vibe. It’s a must-visit place! 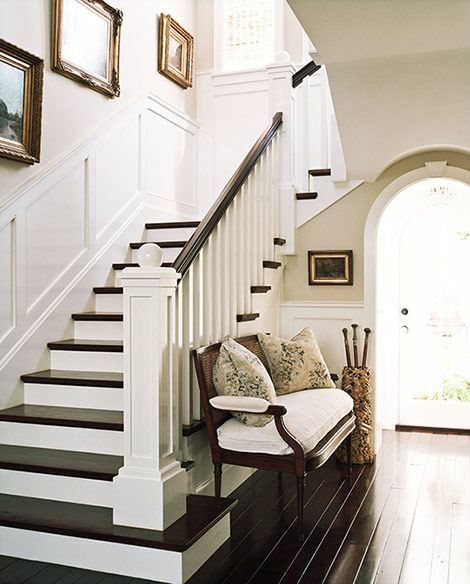 In the foyer of this home, the white wainscoting and stair trim state the home’s classic architectural detailing. What would you say about the beautiful vintage settee? There is nothing quite like the Latin type of staircase with colorful tile risers to catch the eye and add flair to your home. 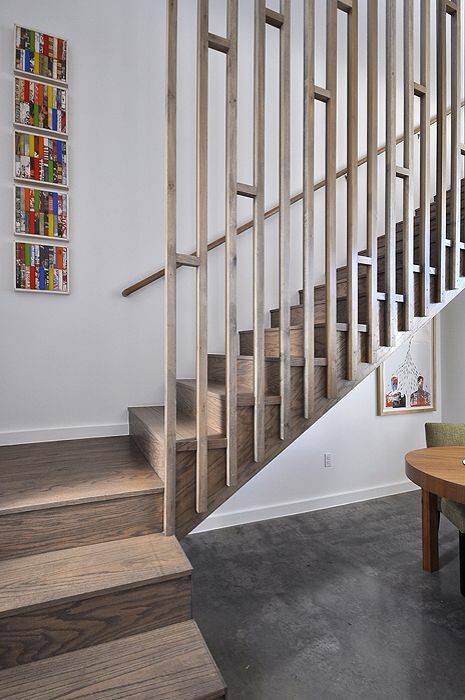 This is a great example of a contemporarily Scandinavian wooden staircase with minimalistic steel railing to the ceiling. Stunning! 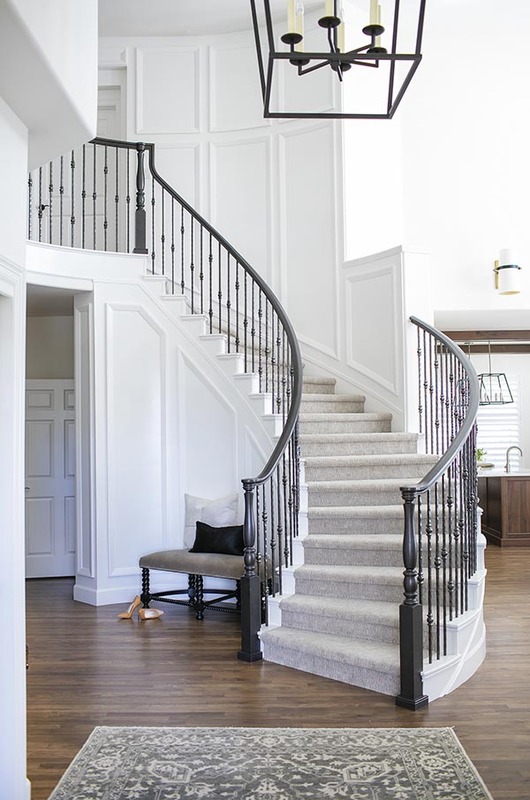 This beautiful and simple stairway design has been created by Jill Wolff, an interior designer with more than 20 years of experience. 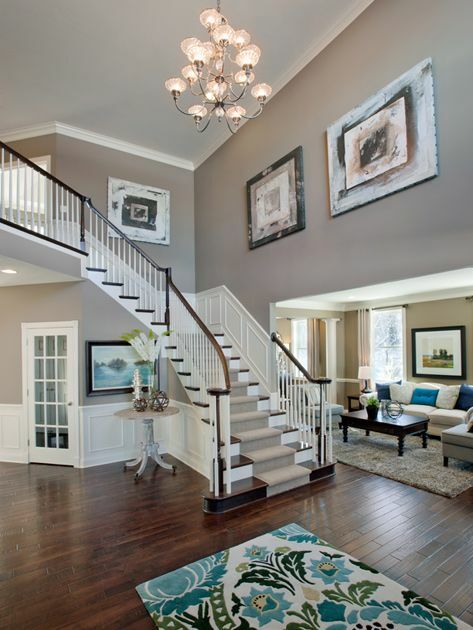 The neutral colored runner and the painting on the wall give a welcoming, friendly touch to the overall design. If you have a stairway at home or flat and still struggling to find enough storage for your stuff, then this DIY project may be just the right fit for you. But first, plan well!